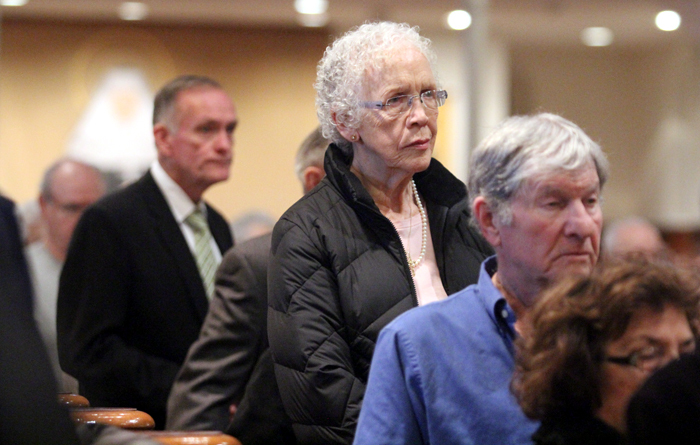 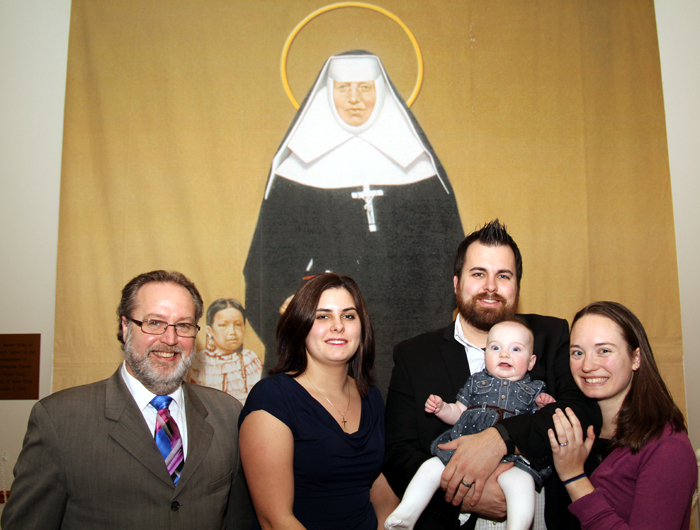 Robert Gutherman (left) and Amy Wall (center), recipients of a divine miracle attributed to St. Katharine Drexel’s intercession, celebrates the saint’s feast day Mass with Amy’s brother Jack, his wife Christina and their daughter Katharine. 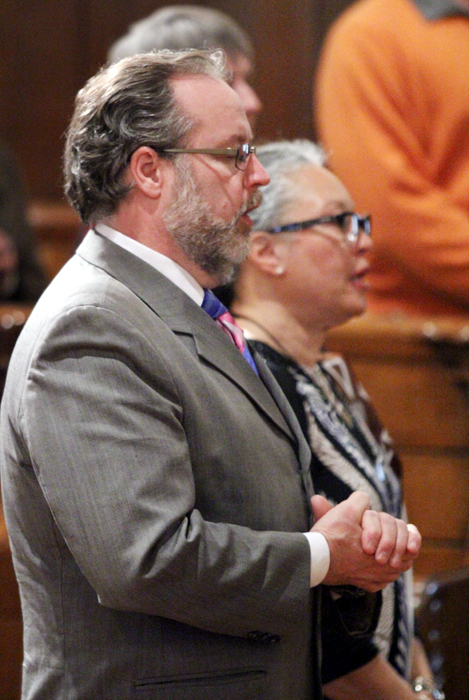 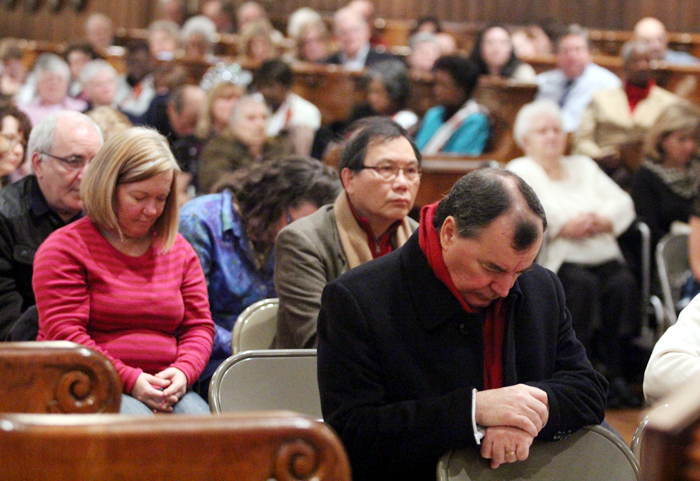 Robert Gutherman prays during the Mass. 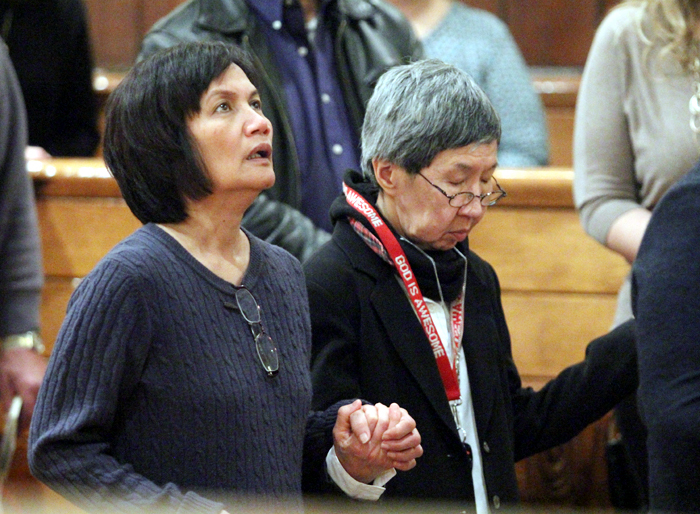 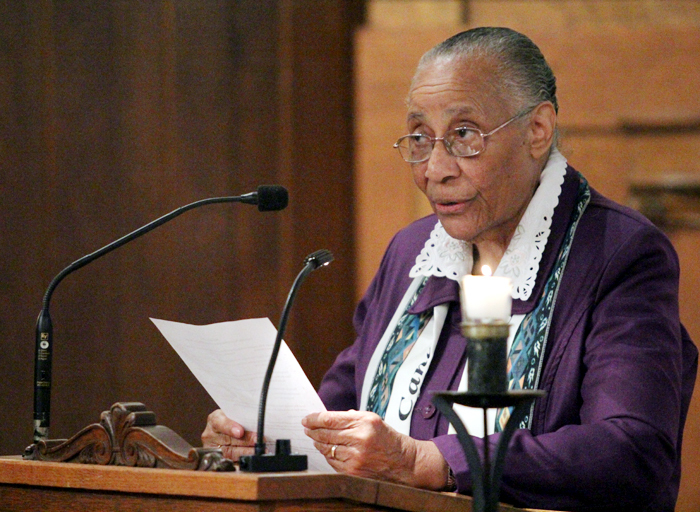 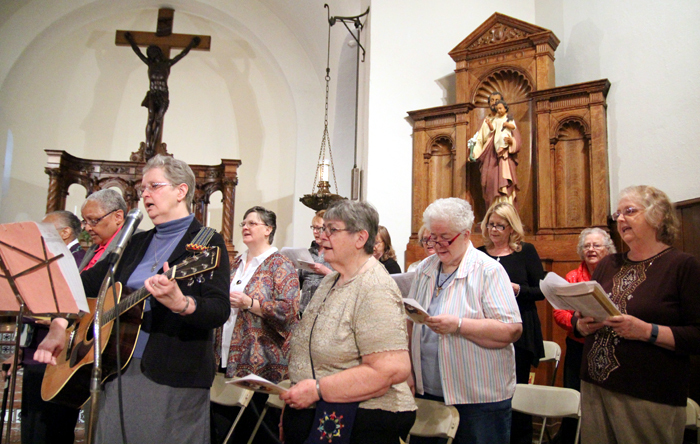 Sister Roland Lagarde, S.B.S., leads the church in the intercession prayers. 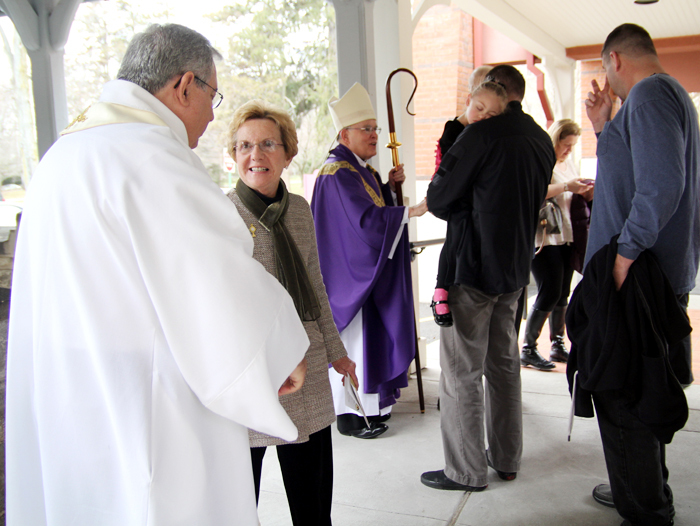 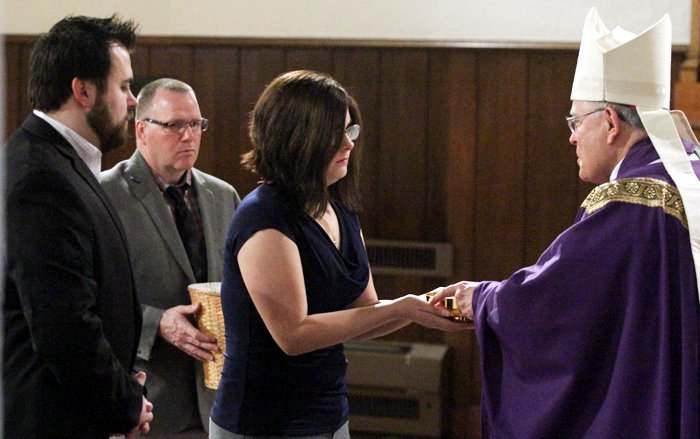 Amy Wall and her brother Jack present the offertory gifts to Archbishop Charles Chaput. 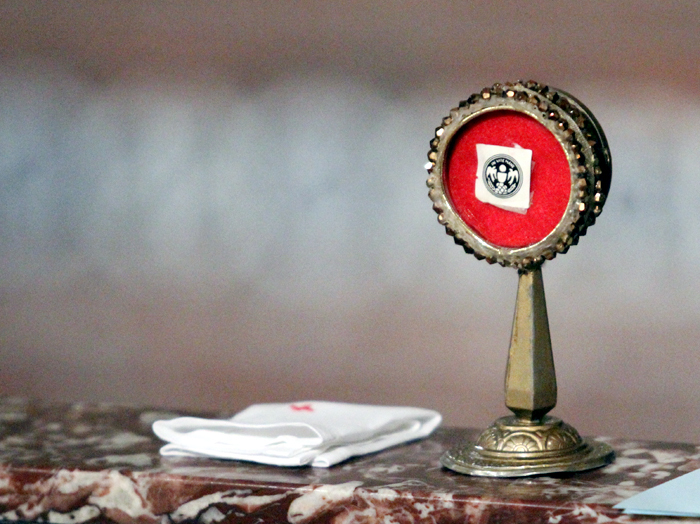 A relic of St. Katharine is displayed at the chapel. 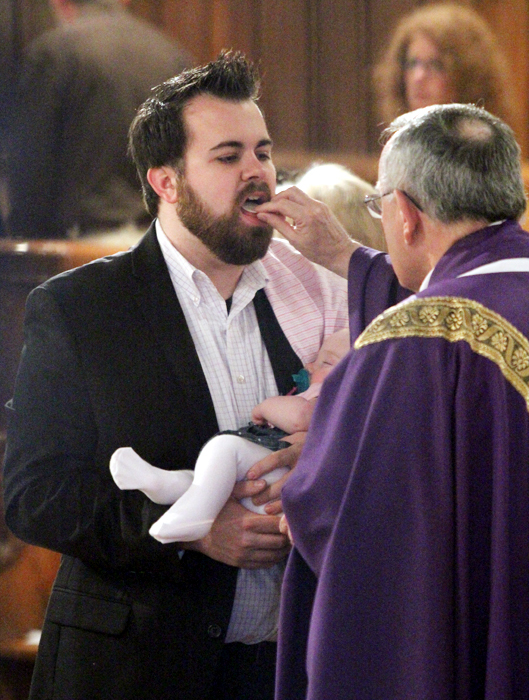 Jack Wall, brother of Amy Wall, receives Communion with his daughter Katharine in his arms. 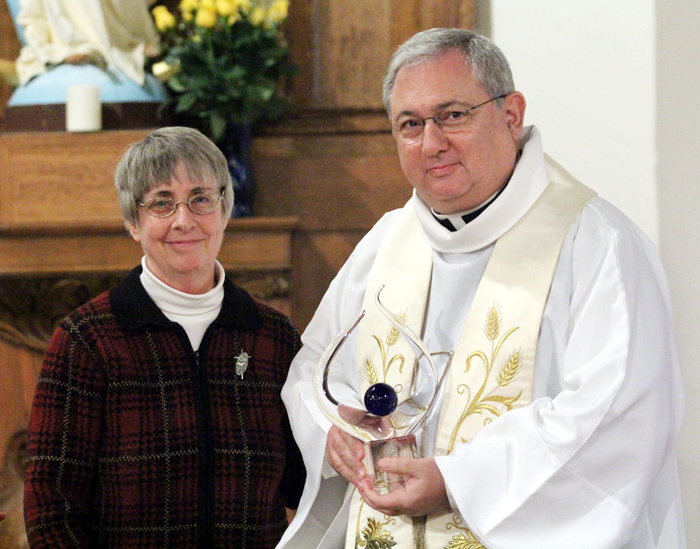 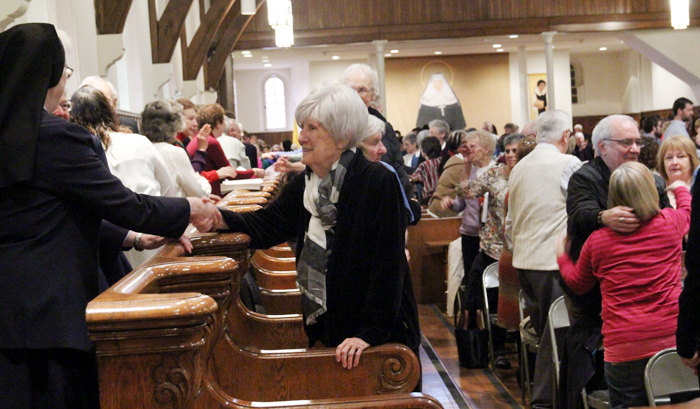 Sister Donna Breslin presents Father Wayne Paysse with the St. Katharine Drexel National Justice Award during feast day celebration. 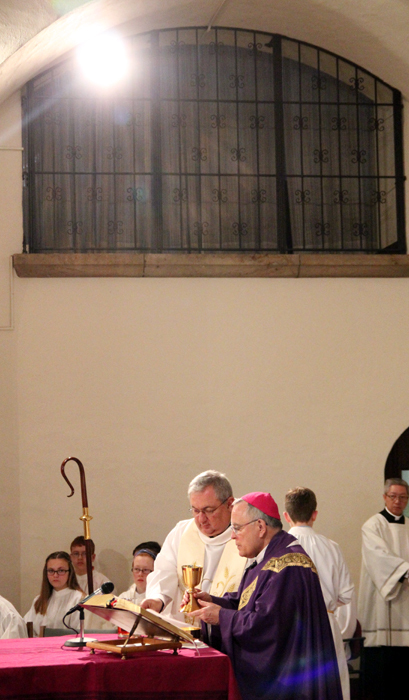 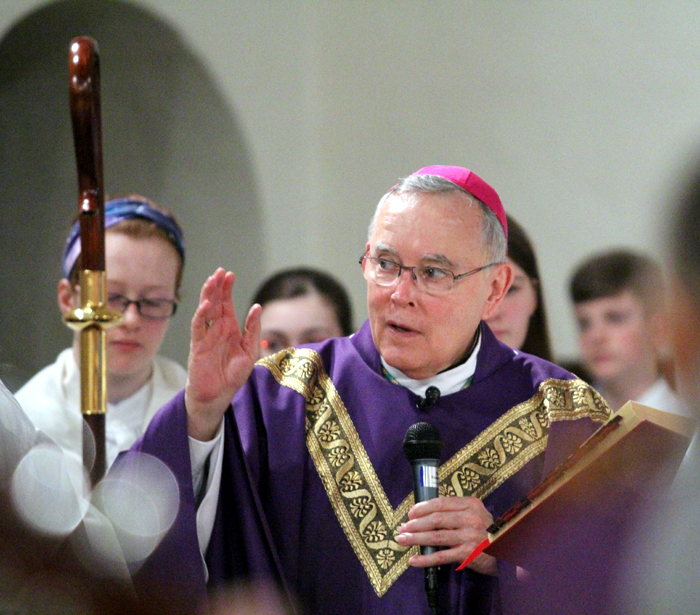 Father Wayne Paysse concelebrates the Mass with Archbishop Charles Chaput. 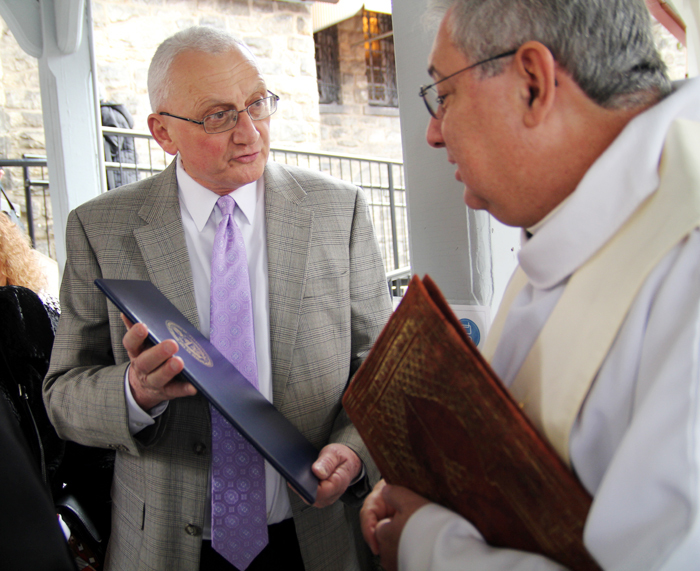 State representative Gene DiGirolamo presents awardee Father Wayne Paysse with a proclamation from the Pennsylvania General Assembly.